There is a small, coastal, historic town in south-east Brazil called Paraty or Parati. It is not, or at least hasn't been, as famous as Ubatuba its near (70km) neighbour in São Paulo, but it is a rising star for sure. Paraty bay front, Rio de Janeiro, Brazil; small tidal marsh in foreground. In front of the famous frontage onto the quiet bay there lies a small intertidal marsh, not much larger than a bowling green, it at first appears to be insignificant. 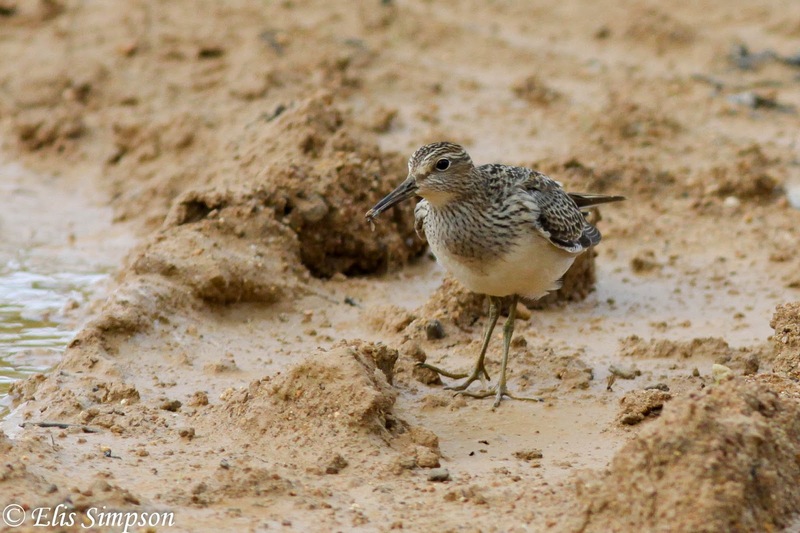 But we discovered over the years that this little place, for all its diminutive size, turned up some interesting waders. Paraty tidal marsh, looking our from the bay front. Our first visit in February 2009 produced Spotted Sandpiper, of which there was always one or two from September to April, our highest count being six individuals, but it showed none of the promise of the goodies that were to come. Spotted Sandpiper Actitis maculata; Paraty, Rio de Janeiro. April 2011. In September 2010 we added White-backed Stilt, Southern Lapwing (which is resident - not sure how we missed it on our previous visit; they are hard to miss), Semipalmated Plover, which proved to be mostly a winter bird but some, presumably first year birds, stayed and were seen during the winter too (Austral Winter). 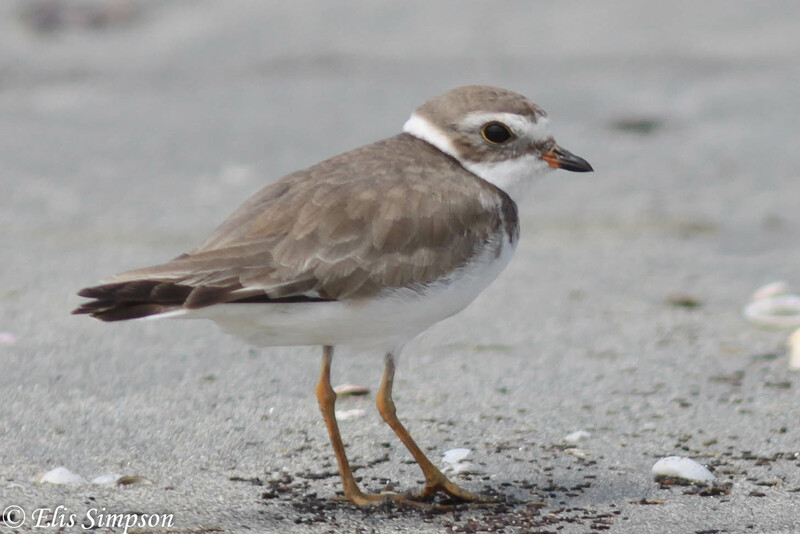 Semipalmated Plover Charadrius semipalmatus; Paraty, Rio de janeiro, Brazil. October 2011. 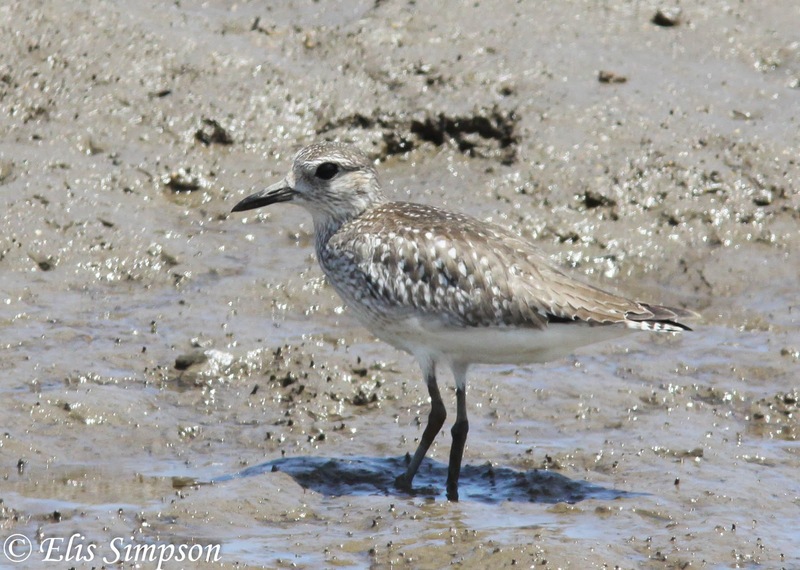 Later that same year, in December, we got our first Grey Plover. I say we, but actually the first I knew about it was when Elis was showing me her photographs on the way home! Grey Plover Pluvialis squatola; Paraty, Rio de Janeiro, Brazil. 12/12/10. Even so it had not been a bad day for us otherwise, having as we had, seen Ruddy Turnstone and White-rumped Sandpiper there for the first time. Ruddy Turnstone Arenaria interpres; Paraty, Rio de Janeiro, Brazil. January 2012. White-rumped Sandpiper Calidris fuscicollis; Paraty, Rio de Janeiro, Brazil. January 2012. 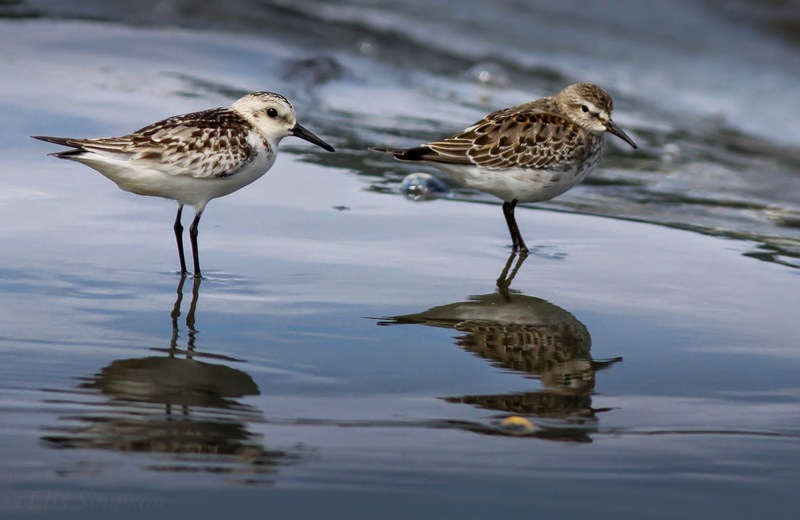 In April 2011 we added two more waders on the same day, the best a Semipalmated Sandpiper that we found along with two Lesser Yellowlegs a species which is much more widespread and commonly seen. Semipalmated Sandpiper Calidris pusilla (Left) and two Lesser Yellowlegs Tringa flavipes; Paraty, Rio de Janeiro, Brazil. April 2011. Undoubtedly our best find at Paraty was Rufous-chested Dotterel in June 2011, this is a southern migrant that normally just gets into southern Brazil so this was well beyond its normal range and the first photographically documented record for the species in the state of Rio de Janeiro. Rufous-chested Dotterel Charadrius modestus; Paraty Rio de Janeiro, Brazil. June 2011. The marsh being so small and not very suitable for jacanas Wattled Jacanas were not generally present, but in July 2011 we found a one lurking in the vegetation, this was presumably a migrant although they are generally thought of as resident. We also had one turn up on the beach at Ubatuba, a juvenile, in March 2010 following a storm indicating that they do move about, at least locally. 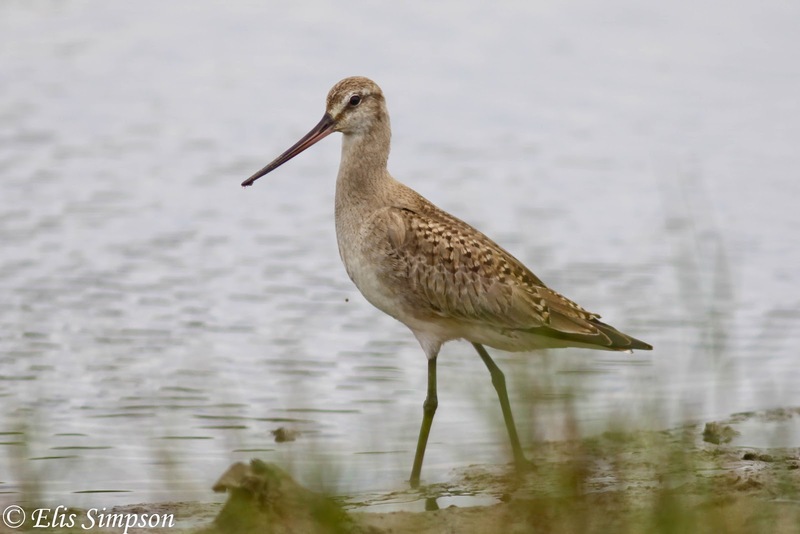 Our last visit was in October 2011 and it was then that we added another three species to the list; Hudsonian Godwit, American Golden Plover and Pectoral Sandpiper. Hudsonian Godwit Limosa haemastica; Paraty, Rio de Janeiro, Brazil. October 2011. American Golden Plover Pluvialis dominica; Paraty, Rio de Janeiro, Brazil. October 2011. 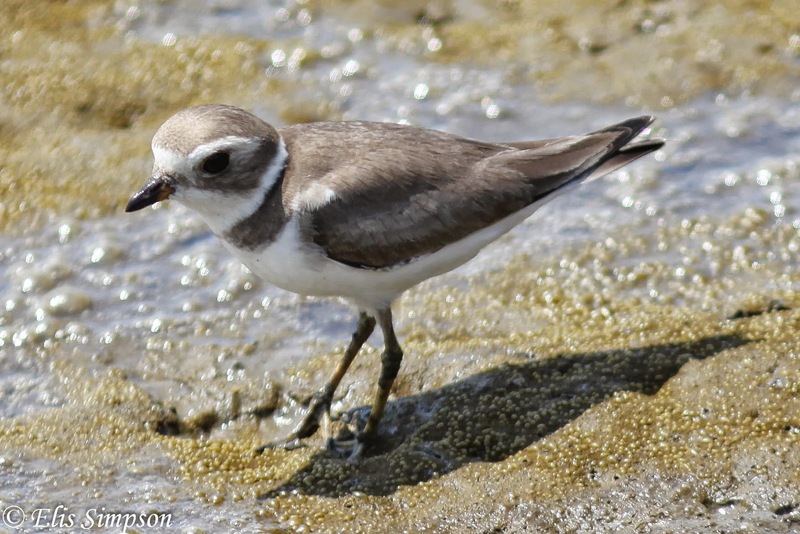 In nearby Ubatuba there were a limited number of sites that turned up waders, Ubatumirim was the place to see Collared Plover where they were regular in winter (southern), along with an Semipalmated Plovers and the occasional White-rumped Sandpiper. Collared Plover Charadrius collaris; Ubatumirim, Ubatuba, São Paulo, Brazil. June 2013. The beach front at Ubatuba was not a great place for bathers but even so it was not either a great place for waders, very few turned up there. Our best period was in when 17 White-rumped Sandpipers turned up with a Sanderling and some Semipalmated Plovers. Sanderling Calidris alba (left) and White-rumped Sandpiper Calidris fuscicollis; Ubatuba, São Paulo, Brazil. October 2010. Semipalmated Plover Charadrius semipalmatus; Ubatuba, São Paulo, Brazil. February 2012. We also saw American Golden Plover on the foreshore and away from it Pectoral Sandpiper (two, one at the Ranário - the old frog farm - and the other at the airfield). American Golden Plover Pluvialis dominica; Ubatuba , São Paulo, Brazil. October 2009. Pectoral Sandpiper Calidris melanotos; Ubatuba, São Paulo, Brazil. October 2010. In Ubatuba though there were undoubtedly two highlights. The first of these involved the tremendous surprise of finding three Buff-breasted Sandpipers near the seafront one morning on a grassy area. I was excited when we found one, but then going one to realise there were three was a very special moment indeed. Buff-breasted Sandpiper Tryngites subruficollis; Ubatuba, São Paulo, Brazil. October 2009. But the best of all a had to be finding a Western Willet at the site known as Perequê-Açu. I went there alone one morning, just on the off chance, and there is was; and there I was with no witness nor any camera to record the event. Fortunately for me the bird stayed long enough for me to return with both Elis and her camera to record for posterity this important siting in the state of São Paulo . Western Willet Tringa inornatus; Ubatuba, São Paulo, Brazil. March 2011. You are very welcome, Paraty is a great spot, it always had something of interest for us. We admire the work you are doing there to promote birdwatching in the region. Keep up the good work. Bjs. Rick and Elis.